No Open Gym 12:00-1:00 ON SATURDAY, MARCH 14 in the Big Room. It will be in use for our Movement and Performance Series and Front Room in Use for Olympic lifting but there should be space in the back during that time for open gym. Please come early if you need to get in 15.3 on Saturday! Join Dr.Seth for the next session in our Movement & Performance Series! TODAY at 12:15 it’s all about shoulders!Sign up in Wodify! If you are using the app, choose “all programs” or “mobility” in the schedule to see the class. 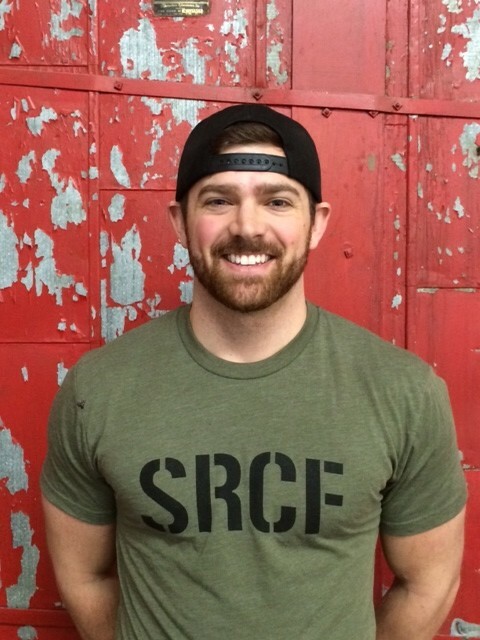 We are happy to welcome, Jeffrey Metzler, as the newest member of the SRCF coaching team! Many of you have already met Jeffrey as he’s been with us the last couple of weekends. Jeffrey is coming to us from CrossFit Discovery in Charleston, SC with 5 years of coaching experience and has chosen to make Greenville his home as he’s finishing up his DPT. You’ll find Jeffrey at SRCF on weekends! Help us welcome him to Greenville!